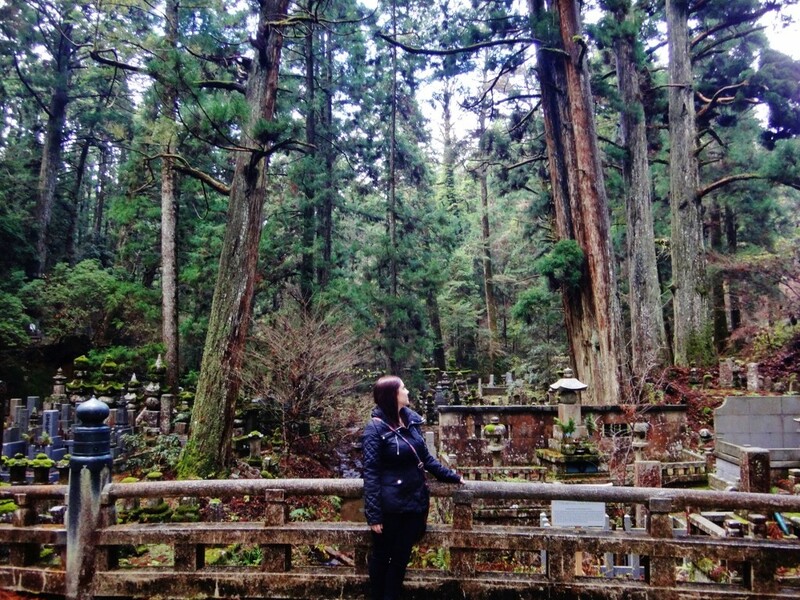 It took seven transfers and four different modes of transportation to reach Mount Koya. 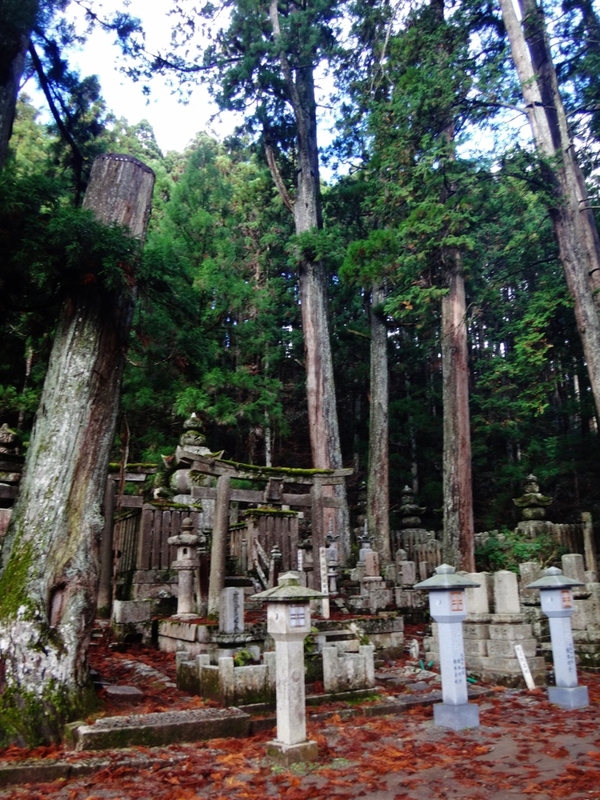 After 1 taxi, 4 train transfers, 1 cable car, and finally a bus ride – Brian and I made it to Koyasan, a small, secluded temple town built on the wooded mountaintop of Mt. Koya. In any other country the journey would have taken most of the day, but with Japan’s unsurpassed transportation system, it took us less than 4 hours. 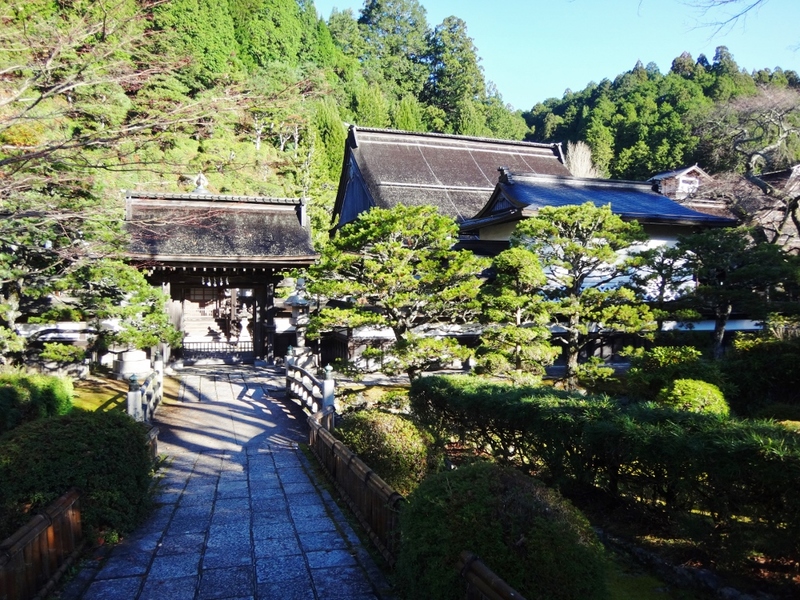 Koyasan is the center of Shingon Buddhism, an important Buddhist sect which was introduced to Japan in 805 by Kobo Daishi, one of Japan’s most significant religious figures. Kobo Daishi began construction on the original Garan temple complex in 826 after wandering the country for years in search of a suitable place to center his religion. 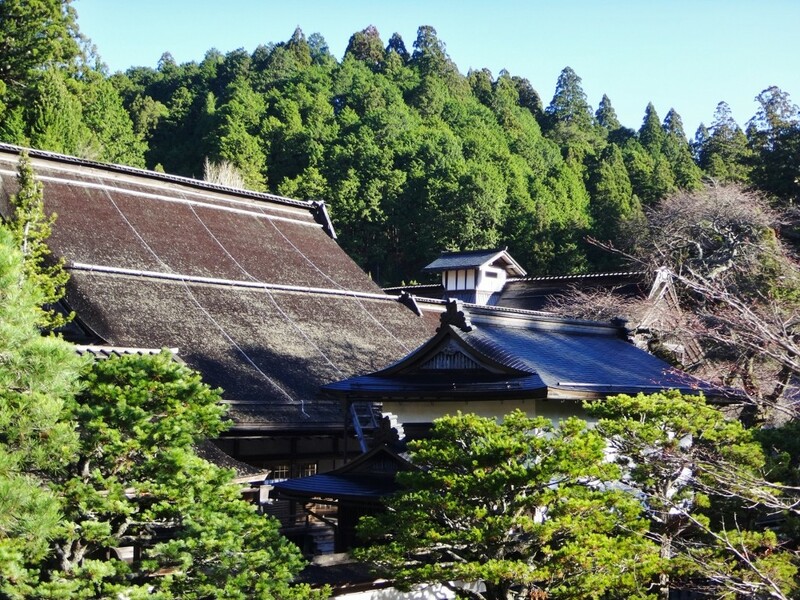 Since then over one hundred temples have sprung up along the streets of Koyasan. 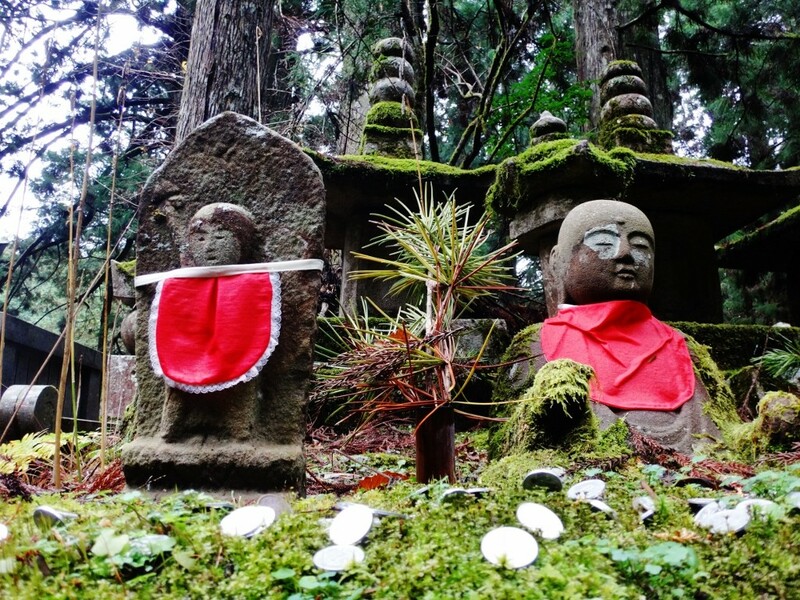 The most important among them are Kongobuji, the head temple of Shingon Buddhism, and Okunoin, the site of Kobo Daishi’s mausoleum. 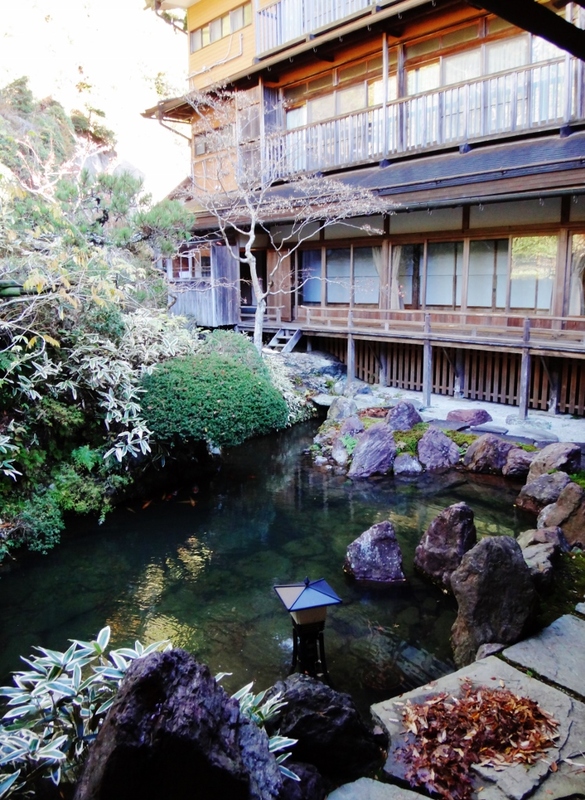 Koyasan is renowned for being one of the best places to experience an authentic overnight stay at a temple lodging where you can get a taste of a monk’s lifestyle, eating vegetarian monk’s cuisine and attending the morning prayers. One thing that I learned during my stay at a temple is that there are a lot of rules! Temples are very strict and for a good reason – they are a sacred place of worship and it is an honor to sleep overnight with the monks. 1. Arrive at the temple no later than 5:00PM or you will lose your reservation. 2. No shoes are allowed in the temple – only the provided slippers. 3. You must leave your slippers in the hallway outside your room. Only bare feet and socks are allowed in the room. 4. Dinner is served at 5:30PM sharp and you must wear the provided temple robes. 5. There are morning services that you are expected to attend. 6. Morning prayer starts at 6:00AM. As guests of the temple you are required to attend these prayer services (you should not wear your temple robes to the prayer). 7. Breakfast is served immediately after the morning service (you should not wear your temple robes to breakfast). 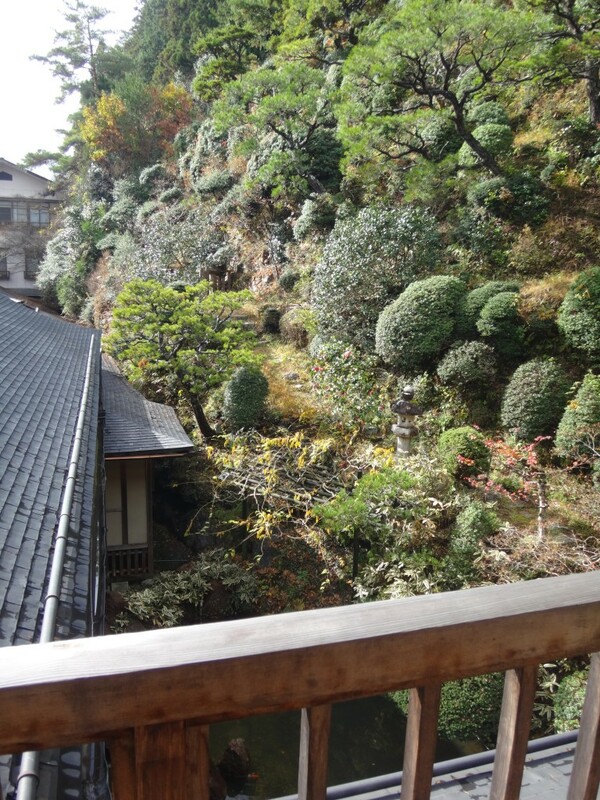 I wanted to experience the simple, traditional lifestyle of Buddhist monks. What better way than staying overnight in a temple? 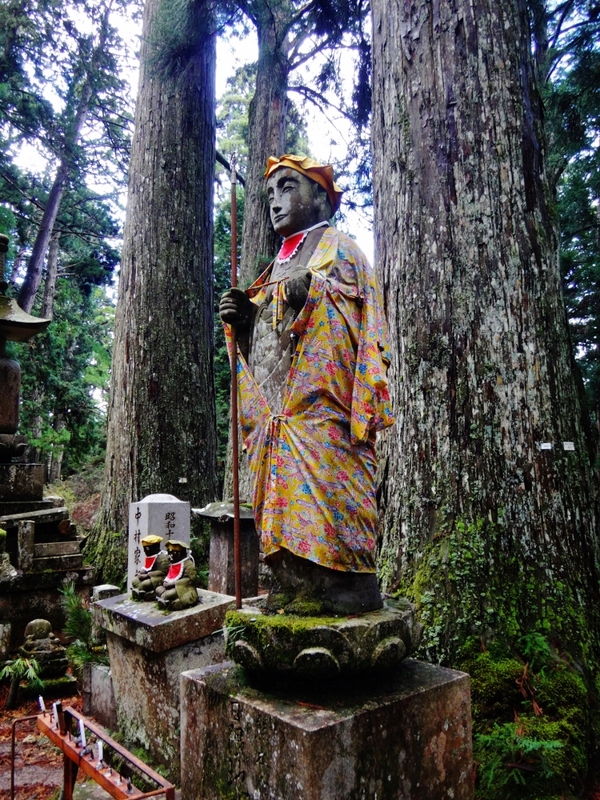 Unlike in other parts of Japan, the temples on Mount Koya are accustomed to foreign guests. I reserved our stay at Shojoshin-in very easily through the Japanese Guest Houses website. 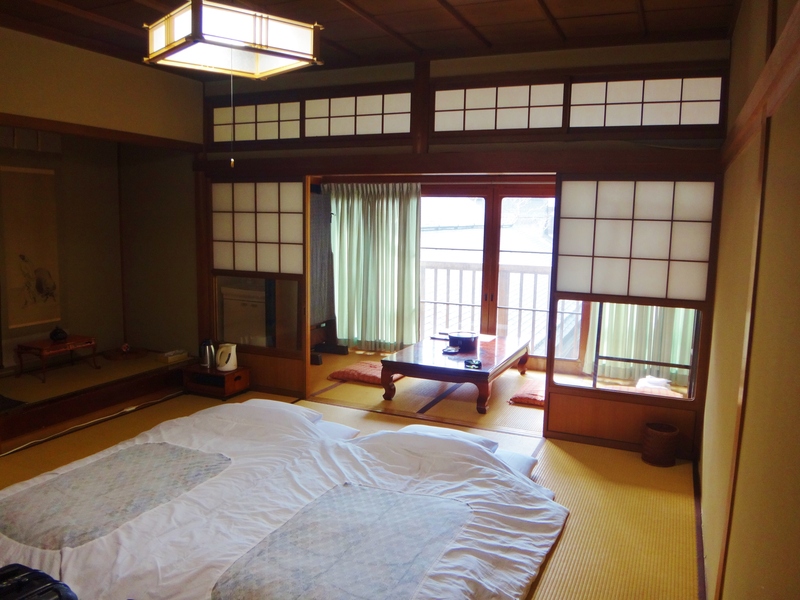 The typical cost for a stay is between 9,000 and 16,000 yen (about $80-$150 USD) per person and night, including dinner and breakfast. 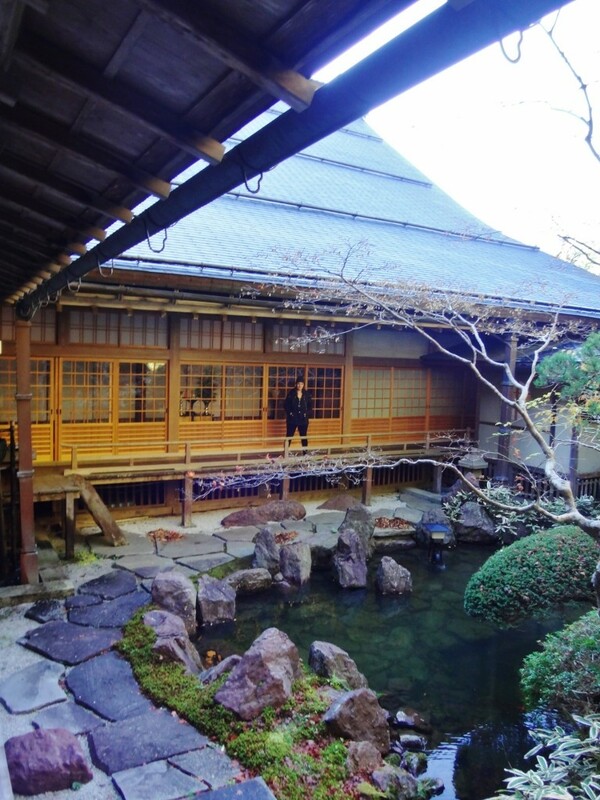 We paid $115 per person for a night at Shojoshin-in in a room overlooking the garden and koy pond. As we arrived at the temple a monk motioned for us to follow him into an office. We took a seat on the floor pillow and handed him our printed reservation. He knew very little English but just enough to get us checked in. He grabbed our bags and we followed him through the temple to our room. 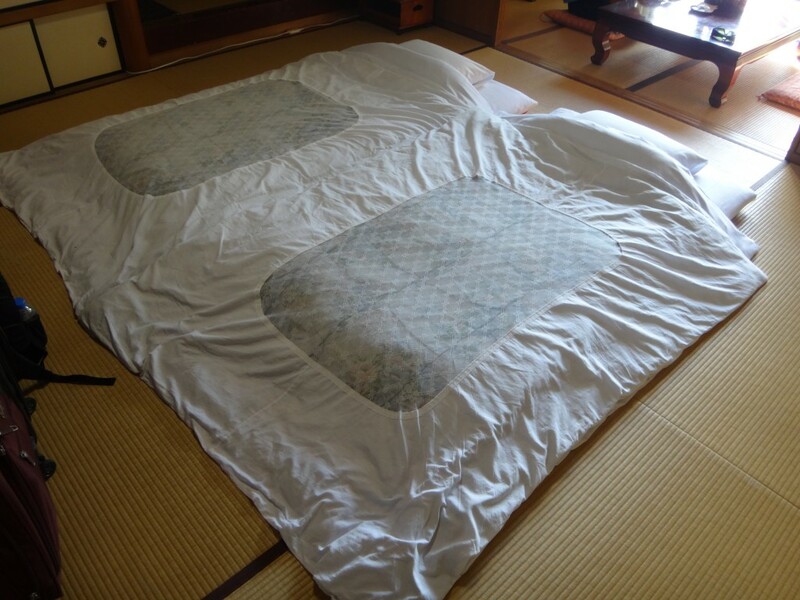 Our room had two futons in the middle of the tatami floor. 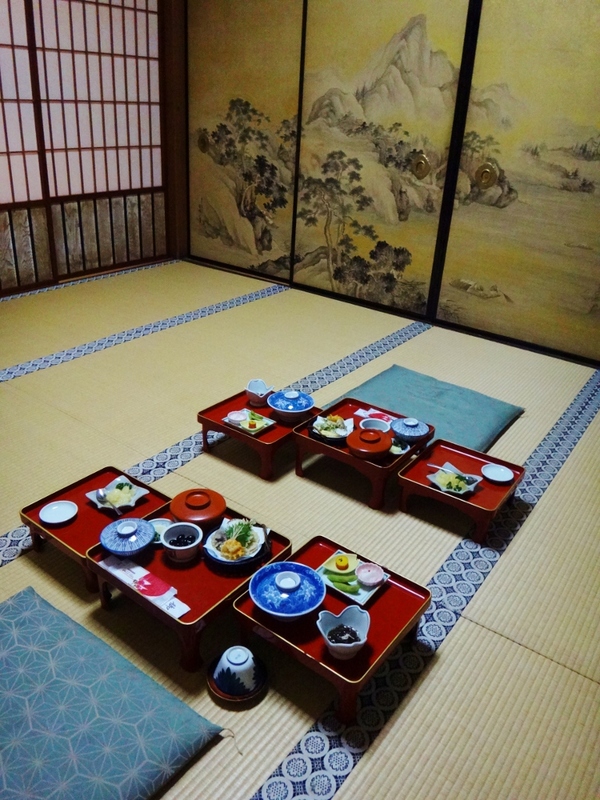 There was another smaller room which was separated from the sleeping area by sliding doors (fusuma) which had a table and two pillow seats. No toilet or showers (most temple accommodation have only shared bathrooms). The room was basic but very charming and tastefully decorated. I turned around and the monk was already gone, disappeared to someplace else in the complex. 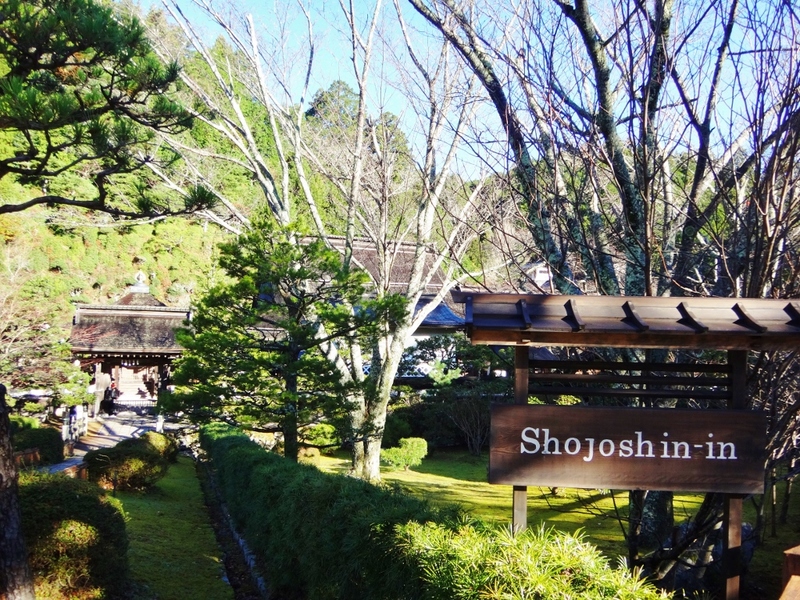 TRAVEL REVIEW: Shojoshin-in Temple Trip Highlight! 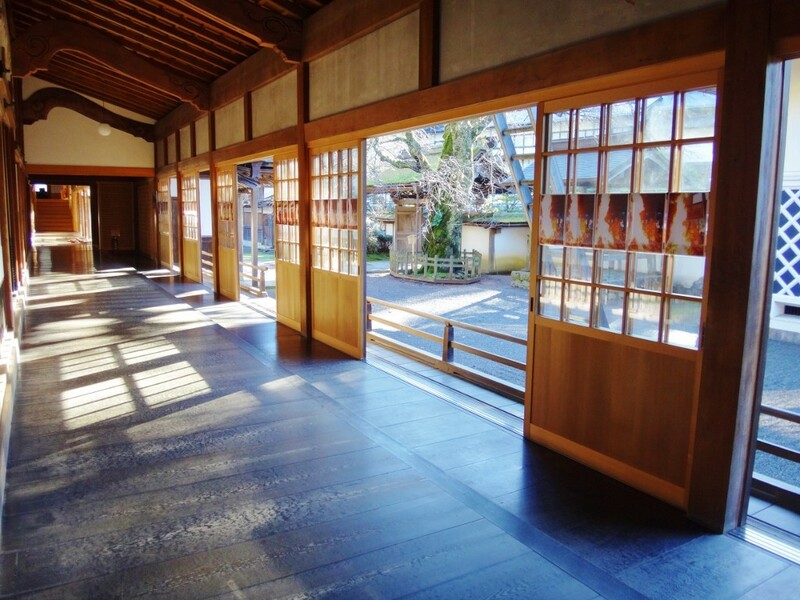 The temple is run by Buddhist monks, so it is important to not expect to receive the same level of service as what you would expect at a ryokan or hotel. 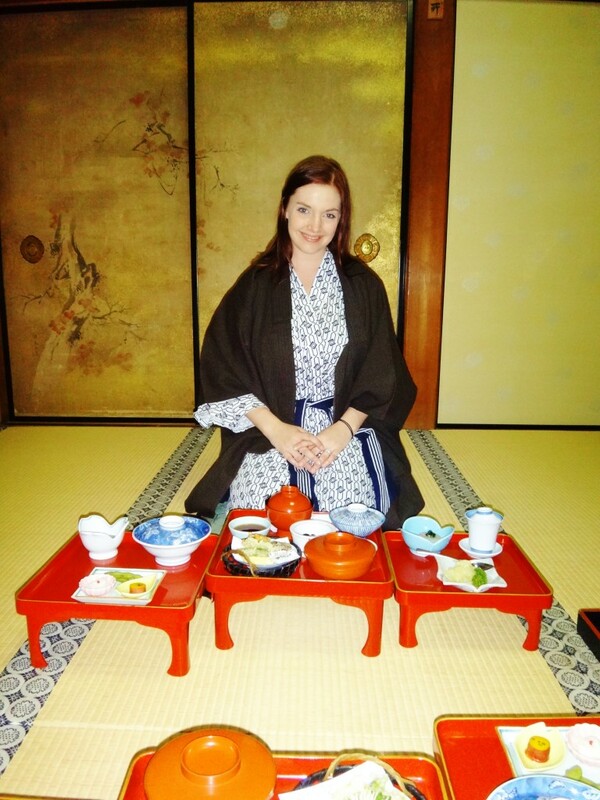 I personally welcomed the subtle style of service – a temple stay is designed to be low-key and unglamorous. 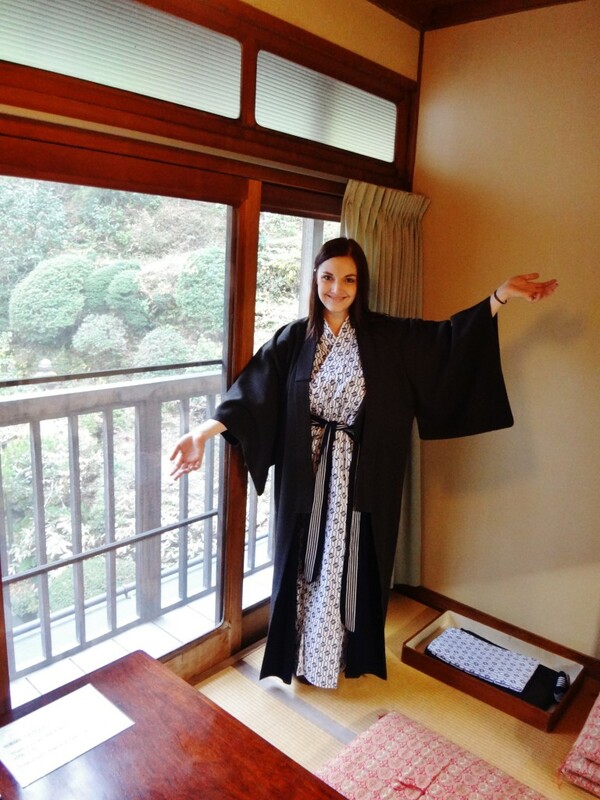 At Shojoshin-in, we were provided with slippers, a yukata (cotton robe) and a tanzen (cotton coat). It was mid-November and the temperature got very chilly that night – it was nice to have the cozy, warm tanzen! At night the monks set out candle-lit lanterns along the wooden corridor beside the Japanese garden. Walking along the corridor on a cold November night and tiptoeing by the lanterns in my yukata and tanzen made me feel like I was really experiencing Buddhist temple life. At precisely 5:30pm it was time for dinner. We hurried up to our room and switched into our robes. 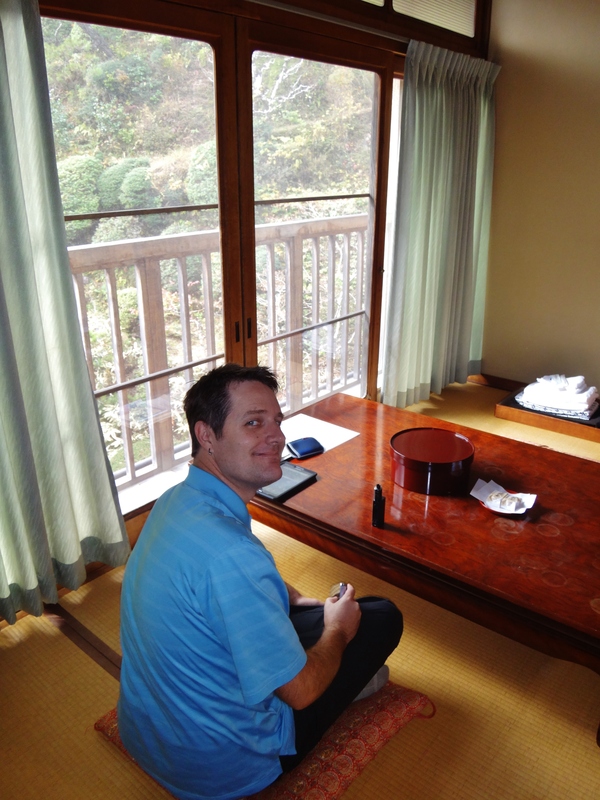 We were shown into a private a tatami mat room for dinner by one of the monks. The vegetarian meal was already set out before us in a beautiful presentation. We took a seat on our pillows as the monk began to uncover each item of food. He made us a cup of tea and brought in some steaming hot rice before leaving us alone for the rest of our meal. My husband and I each had 3 trays in front of us, with about 4-5 dishes per tray – there was a lot of food and I could hardly identify any of it! 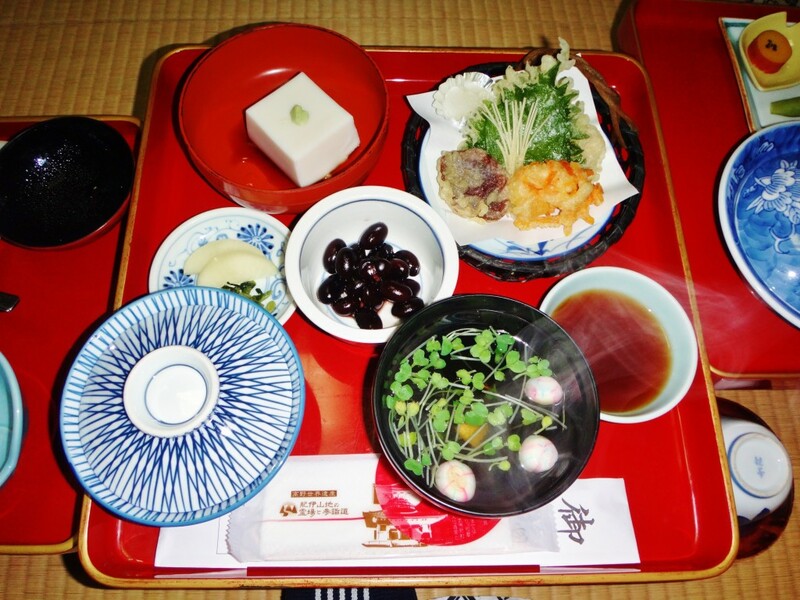 To me, every Japanese meal was an adventure. 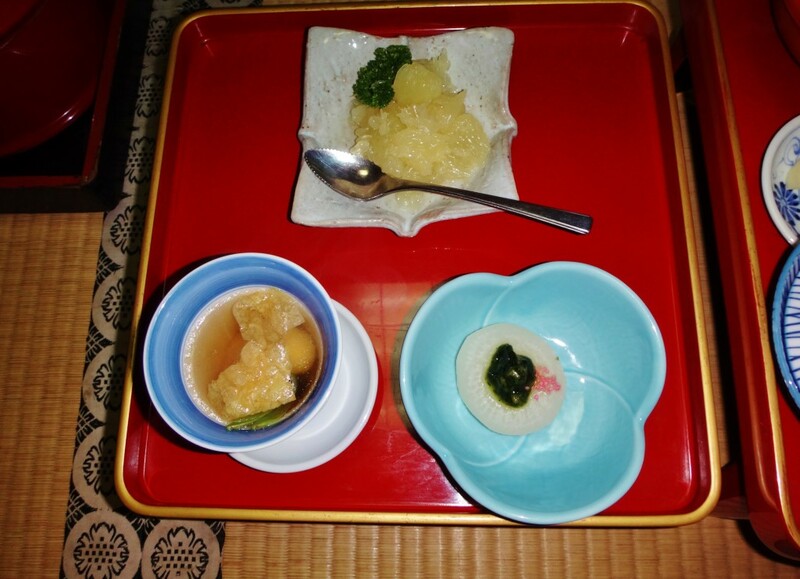 What I could identify was miso soup, beans, tofu, rice, grapefruit, and vegetable tempura. This was the scariest meal of the entire trip for me. I nibbled at everything but eventually filled my stomach with rice. The food wasn’t my favorite. It was even a difficult meal for Brian who is known to eat anything. After forcing as much of the food down as we could, we excused ourselves and thanked the monks for our meal. 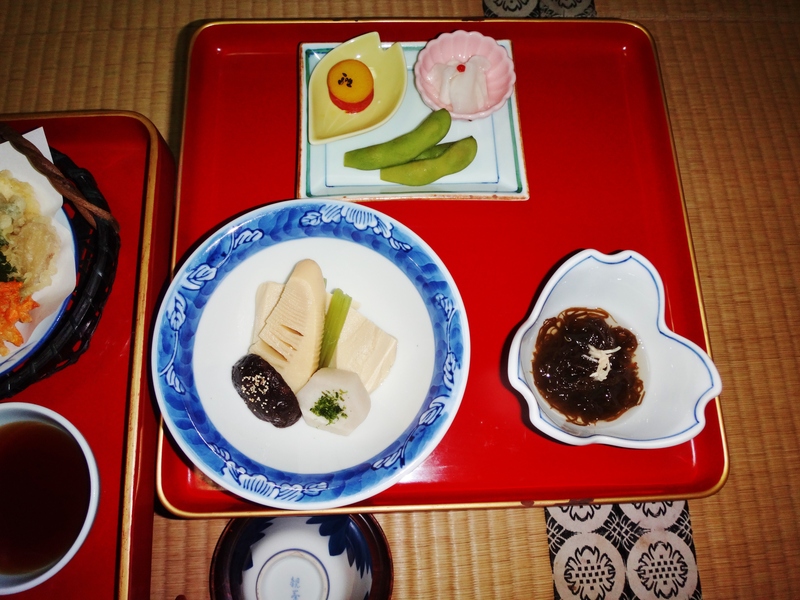 Breakfast was very similar – another assortment of unidentifiable objects. Luckily for me, there was rice. While the vegetarian monk cuisine was not my “bowl of ramen”, it was still an interesting and traditional experience that is not to be missed. TRAVEL REVIEW: Vegetarian Monk Cuisine Must Do! After a great night’s sleep, we were woken at 6am by a series of gongs. It was time for the morning prayer ceremony. We hurried down to the prayer room only to find 3 other people sitting to observe. We joined them on the bench and the door was closed after us. The prayer ceremony began and guests continued to flow into the room over the next 15 minutes. I did find it a little rude that some guests couldn’t get there on time and had to interrupt such a special experience. I understand that it is 6am in the morning, but it is such a great honor to be given the privilege of staying overnight in a beautiful temple, it would only be polite to follow the rules. Anyway, after everyone was done settling in, the real magic began. I closed my eyes and listened to the chanting – it was very spiritual and beautiful to me, I began to tear up just a little. I wasn’t sad or happy. I was just overcome with emotion by the beauty of the experience. 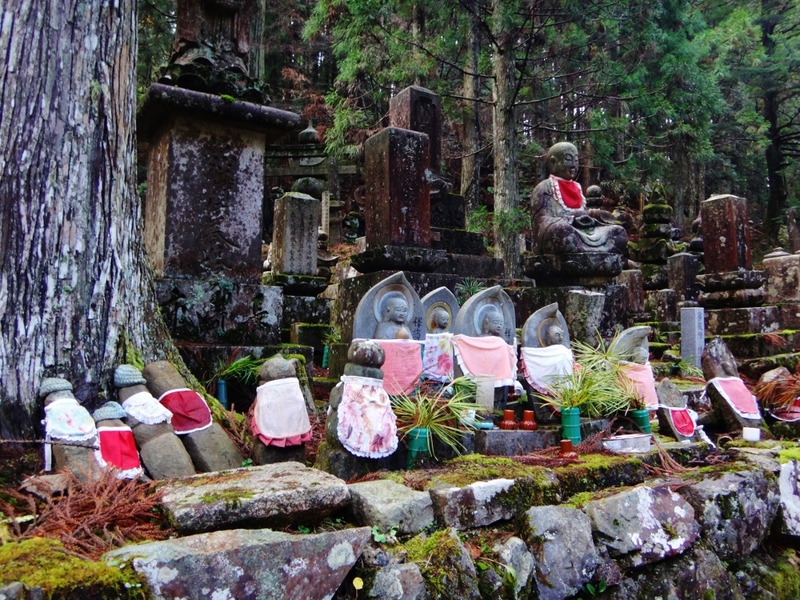 Located directly adjacent to the Shojoshin-in Temple is the Okunoin Cemetery, one of the most sacred places in Japan. 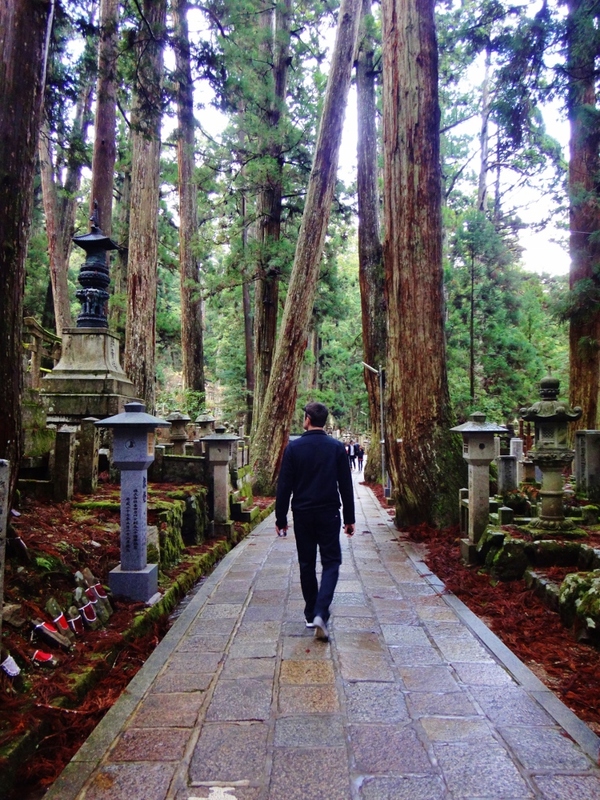 During our stay at Koyasan, we took the time to explore this stunning place. 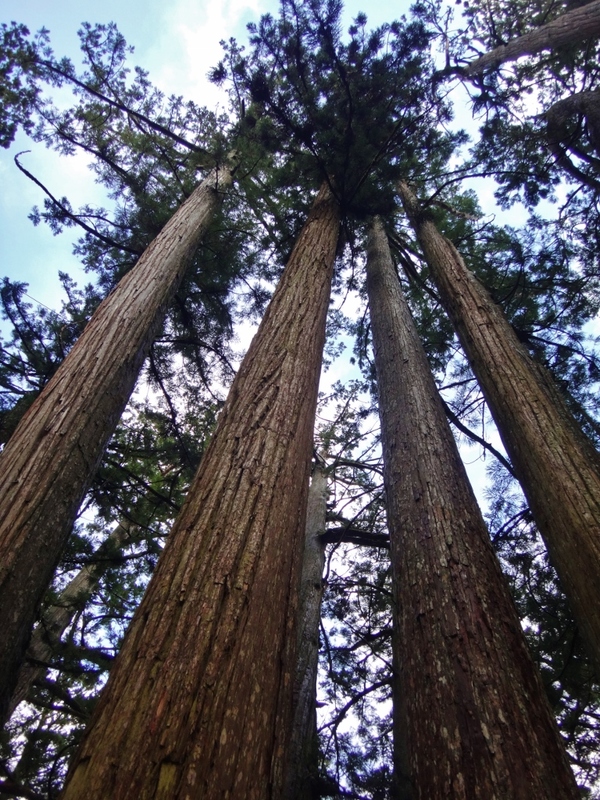 I immediately noticed the giant trees at the cemetery entrance which presented a very majestic and ancient sentiment as I entered the area. 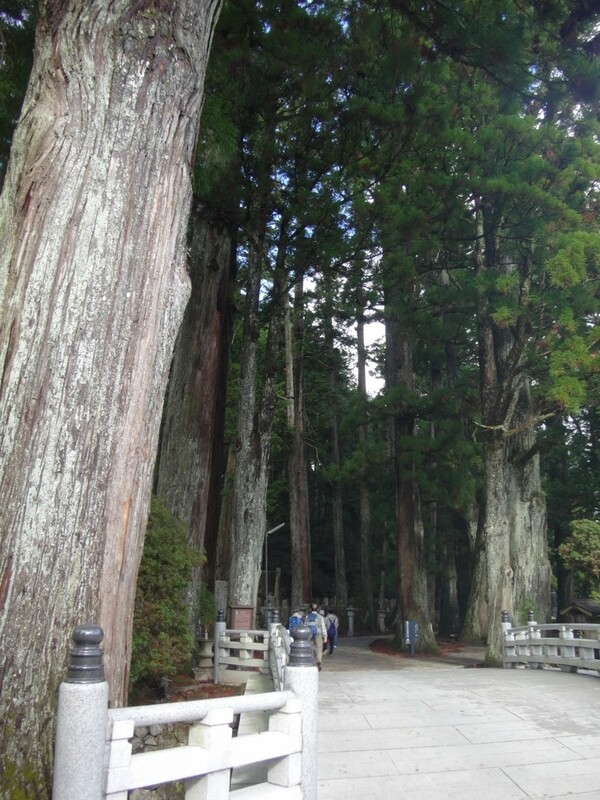 The massive trees lined the walkway all the way through the cemetery. There were so many beautiful gravestones (over 200,000 of them) that were made even more striking with age and covered in moss. 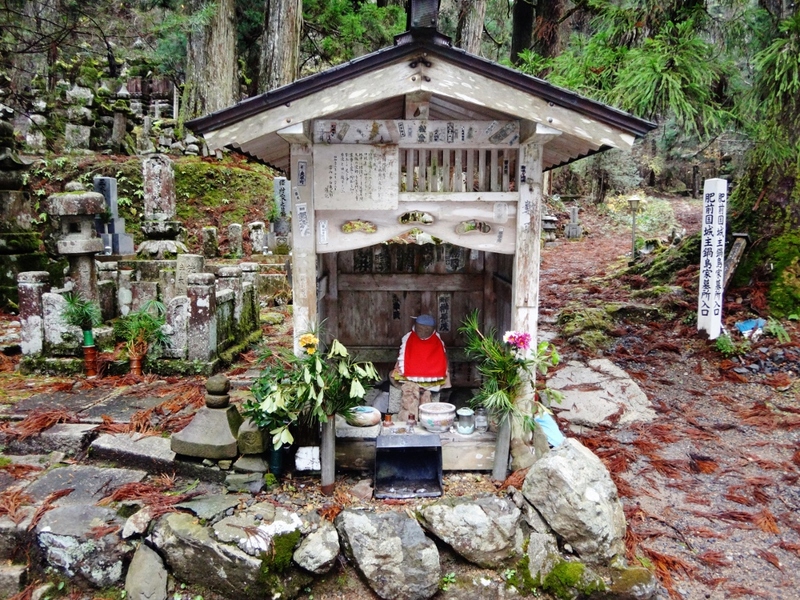 The path ends at Torodo Hall and Kobo Daishi’s Mausoleum, a couple of miles from the main entrance. The night was approaching and it started to get dark so we made our way back to Shojoshin-in. The walk back was very different – all of the lanterns along the pathway started to light up. It was very enchanting (and a little eerie) walking through the cemetery in the dark, with only the glow from the lanterns and the moon lighting our path. 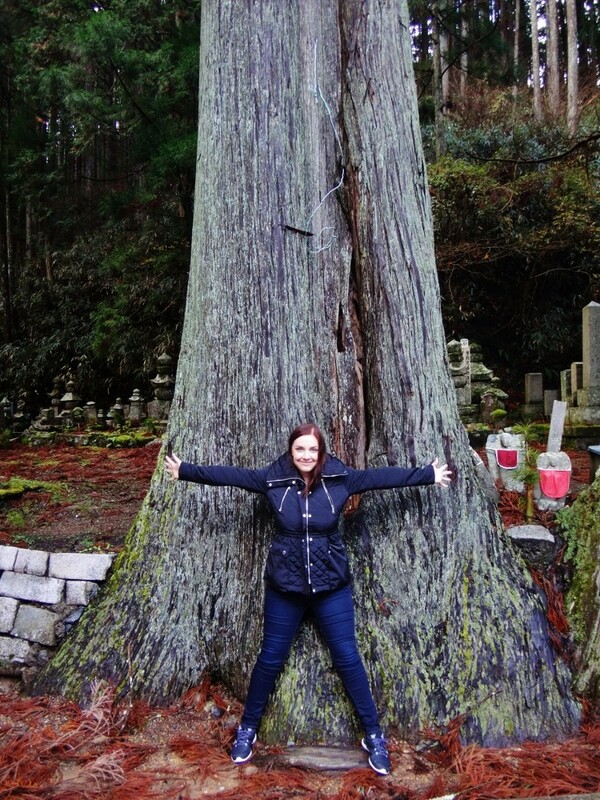 TRAVEL REVIEW: Okunoin Cemetery Trip Highlight! What an awesome experience! Makes me want to go! You should go! You would love it there! 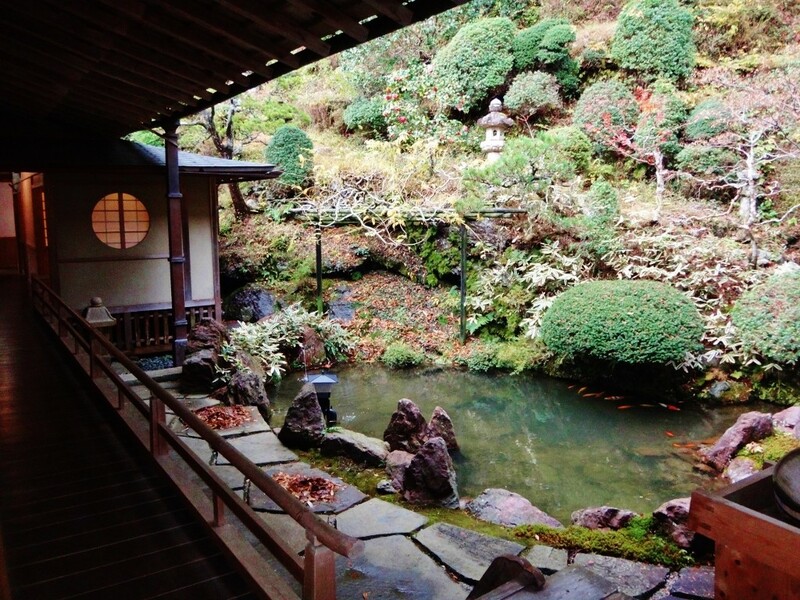 So tranquil, relaxing, peaceful…its like a whole other world.